Y'all better have her money. If there's one thing Rihanna has taught us in the time we've shared on this earth with her so far, it's that she is a straight savage. Need further evidence? Two huge fashion retailers are being sued for copying her iconic Fenty shoe line with sports brand Puma. Robyn ain't playing. Well, Rihanna isn't suing them personally - Puma are. The latest drop of Rihanna x Puma's Fenty line fell into our laps a few weeks ago and sold out pretty quick. The sought-after line, which regularly sells on eBay for almost $1000 a pair, has blessed us with a satin version complete with bow and perfect for a stroll along the beach in Barbados. We like them. They're cute. And you know who else liked them? Topshop. In fact, they liked them so much, they decided to make their own. For less money. In the exact same colours. And now they've been told off. Rihanna's slides come in dark khaki green and cute pastel pink colours. Topshop literally didn't even bother to switch it up when they snatched them. According to the lawsuit report, Topshop in Germany have been issued with an injunction meaning they will no longer be able to sell the knock-off product. It's not the first time Topshop have been sued because of Rihanna. 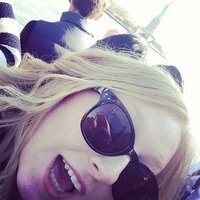 Back in 2015, she took 'em to court because they were selling t-shirts with her face on without her permission. Not ooooonly did Topshop get called out again, but Forever 21 have been caught out too. 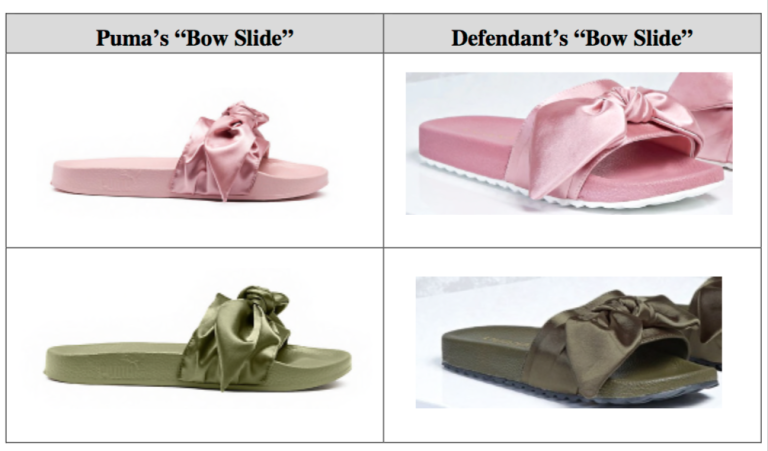 They've also been sued by Puma for stealing the popular creepers and faux fur slides in addition to the new bow slides. According to the lawsuit, Puma are aiming to get back the profits that have been made by Forever 21 for duplicating Rihanna's Fenty line as well as damages, which is basically any money that Puma lost from customers who opted to purchase the cheaper version as an alternative to the original product. Ouch. Did you really think you could scam Fenty? NICE TRYYYYYY.